In a market full of competitors, SuperSave Food Town Hyper stays ahead by investing in the community through healthy eating initiatives at local schools and a huge Win a Car giveaway. SuperSave Food Town Hyper is owned and operated by Abu Khatib and Suhail Bayat. Spend a minute getting to know these IGA South Africa International Retailers of the Year in an interview with Suhail. 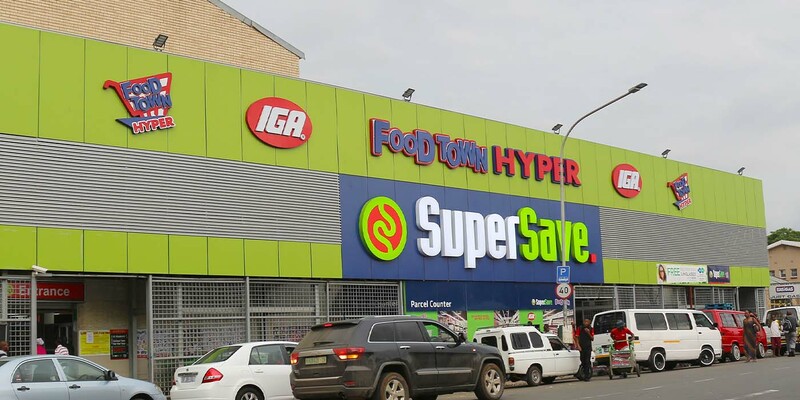 SuperSave Food Town Hyper began as a 6,500 square foot (600 square meter) store almost 35 years ago, when Abu Khatib opened the business in March 1984 to serve the Pietermaritzburg community. The success has been phenomenal. From those early days, the business has grown to 43,000 square feet (4,000 square meters) and has become an icon in the area, with 230,000 shoppers passing through the doors each month and carrying over 15,000 SKUs. They have been part of IGA since 2012. How have your communities and marketplaces changed over the years? Abu lives and breathes retail. I joined the business nine years ago with a focus on bringing new ideas and innovations to the business, and together we plan to take the store to even greater heights over the next few years. In keeping up with the times, we have successfully deployed online shopping. Two months ago, we revamped the store, with both the exterior and interior getting a full makeover. The store has 185 employees, 48 tills, a massive assortment of groceries, and an array of service departments, including butchery, bakery, fresh produce, deli, hot foods, and takeaway. The shopper profile ranges from lower to upper income (LSM 2–10), with the diverse customer base attracted by highly competitive pricing and a selection of over 15,000 SKUs on offer. Trading hours are from 7:00 a.m. to 6.30 p.m., Monday through Sunday. How have you stayed competitive? SuperSave is surrounded by 17 competitive retailers of decent size. To stay ahead of the competition and keep trading “alive,” SuperSave runs a different competition every month. For example, this January they offered school fees for five students and five iPads. What really differentiates SuperSave is the annual Win a Car. In 2018 we gave away five cars, making us the only independent to run such a competition at this scale. This year we plan to grow that even more, which is quite an achievement for a single independent. The store runs two promotional leaflets per month, advertising in the local papers and on radio. We are also very active on social media. Customer service excellence is key to the store’s appeal. What is your retailing philosophy? SuperSave is a business committed to the people. We believe in relationships not only with our customers but also with our suppliers and staff. We are a store for the community and provide the best service, the best price, and the best shopping experience. We have a compelling underlying passion for retail, that comes out in all we do. We know our customers and we understand their needs. We offer true everyday lower prices, which we guarantee will be cheaper than a chain store. And we have a compelling underlying passion for retail. How does health and well-being play into your offerings? SuperSave identified a need to promote healthy living within schools. We began a “Healthy Living, Healthy Lifestyle” drive aimed at getting six high schools in the area active and educating them on the benefits of healthy living. How do you show your shoppers that you are local and concentrate on fresh offerings? We are part of the community and always give back to the community that supports us. SuperSave supports local providers wherever possible. We source goods directly from farms across South Africa, and have recently started our own farm employing locals to empower and educate them about farming. How does IGA help you compete? Being an independent retailer in a corporate-dominated market has been made easier by being part of IGA. IGA has provided ideas and platforms via best practice sharing and marketing ideas that we have been able to adapt and implement with a local flavor. We have attended numerous IGA events and always bring back innovative and tried and tested ideas. What does being an IGA International Retailer of the Year mean to you? We feel that our hard work has not gone unnoticed and gives us motivation to drive harder, to raise our standards, and be the best at what we do. If it were not for Jad Pereira his vision, his thoughts, and his mentorship, as well as the team at UMS and the time individually spent on us, we would not be here today. Copyright © 2019 IGA, Inc. All Rights Reserved.